A week before the World Carp Classic (WCC) started we arrived at the beautiful, picturesque and welcoming village of Bolsena in Italy. This really was the perfect stage for the WCC, being the single biggest and unique event in carp fishing. We rented a house for the first practice week on the eastside of the lake together with our runner Kelvin Groenendijk and his girlfriend Rowen van Benthem. In the first week we had lots of fun exploring the lake, its features, the contours of the lake and the different WCC pegs and match sections around the entire lake. We tried to find out what kind of baits the carp preferred and the depths they were holding up. We also tried different kinds of rigs during this time; after all it was our first time at Lago di Bolsena so we had to find everything out. 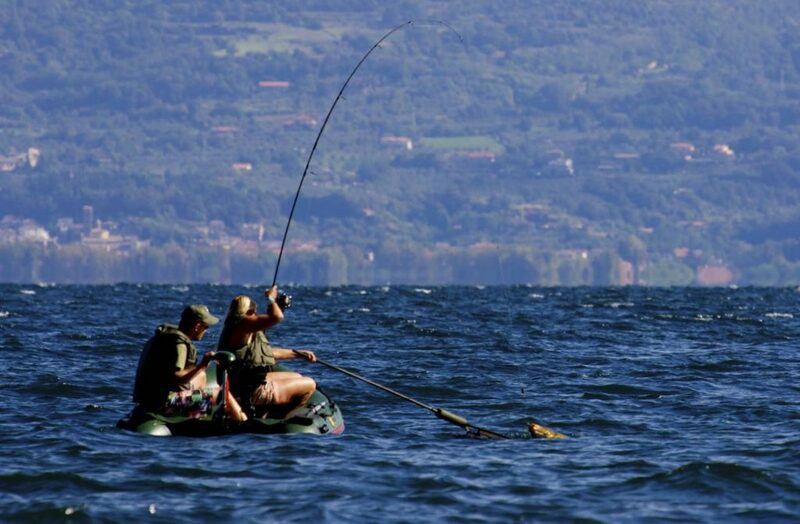 Several weeks in advance we prepared everything thoroughly as fishing on a huge lake like Lago di Bolsena can be really tough in bad weather conditions with showers, strong winds and thunderstorms all possible. We made a detailed plan in order to satisfy all possible scenarios and took several safety precautions. We also rented a generator for charging our batteries and made sure all our things were in perfect order. We had no expectations entering the WCC. We were very happy that event organiser Ross Honey had given us the chance to participate and were grateful to our sponsors for supporting us on this spectacular journey. Our goal was to catch a carp or two during the match and we hoped to end in the top 25 in a strong field of competitors consisting of some of the best carp anglers in the world. The opening ceremony was very impressive. It felt tremendously special waving the Dutch flag and walking behind the local musician’s together with 450 competitors from 27 different countries through the cute alleys of Bolsena. We felt honoured representing our country. The night before the ceremony we had a great time in bivvy city meeting up with anglers from different countries, watching the gladiator games, the world record attempt at making Goulash and the beautiful fireworks. To share the same passion with everyone there gave us a great feeling of solidarity as well as lots of interesting topics to talk about with fellow anglers. There was a splendid atmosphere and we could sense the match tension among the fellow anglers, it’s a feeling that we will remember for the rest of our lives. In drawing positions for the peg draw I pulled number 105 so we decided Lizette should try her hand in the peg draw as she might be luckier. When Lizette drew peg 62 we didn’t know if it was a good spot but we had hoped to draw from pegs 55 – 95 because of the winds on that side. Therefore it was in our favourite range so we were already happy already. 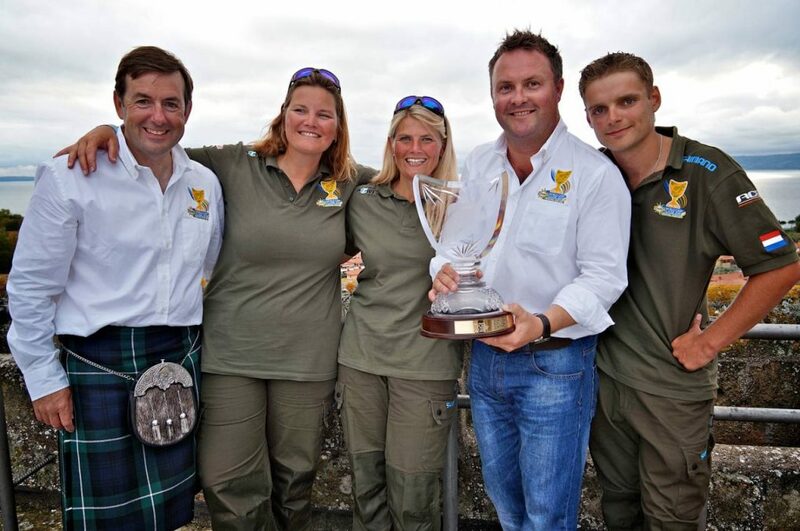 We heard afterwards from others anglers that peg 62 didn’t finish in the prizes in 2013. When we saw the peg the next day we thought it was a little short because of the close proximity of the fence behind it meaning no way out if the waves came up high. Because of this we had to move our bivvy but in the end everything turned out fine. When we arrived at our peg on Monday at 7am, fellow anglers had warned us amidst a bit giggling that it was a mile walk to our peg. “Well that’s no problem as we are young girls”, we said. We later had to sail up and down 5 times with our boat fully packed and it took us over 6 hours to set up our own little bivvy camp. 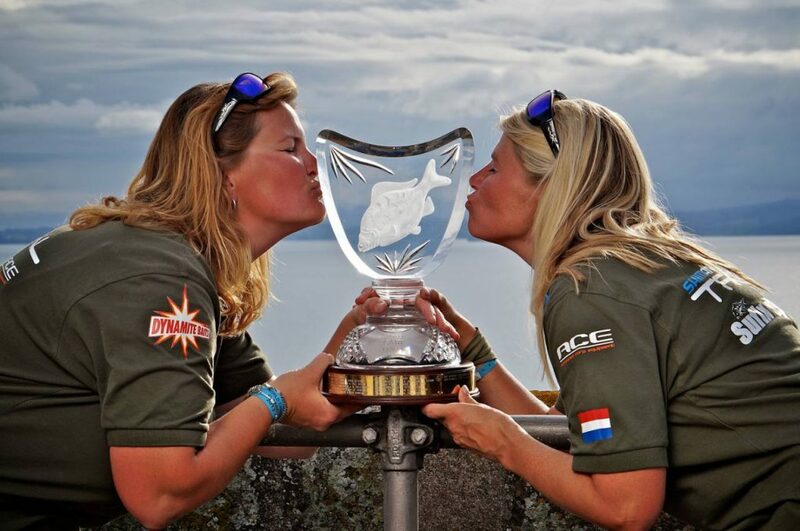 After hearing the fireworks to a signal for the start of the match we immediately jumped into our boat, carefully mapped our swim and placed a Perfect Marker made by Markerworld.nl at about 180 meters on a hard bottom at a depth of 8 meters. We spread our Dynamite Baits very generously around the marker and put two rods on this spot. In the roaring waves I managed to find another spot on the hard bottom between the high and low weeds that subsequently proved to be a hotspot as the carp were holding up in there. The last rod we put in at a depth of 3 meters in between the lower weeds. This was a spot where the carp came through the weed. The excitement had started. 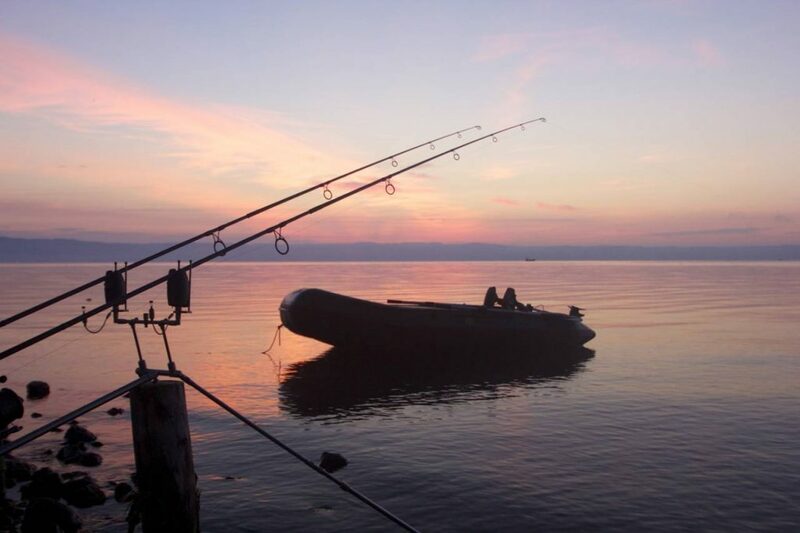 That evening we’d already caught our first carp. This was a very happy moment for us and we were over the moon! Fortunately more fish were to follow in the next few days. During the whole match all four rods kept producing fish so it was an ideal situation for us. 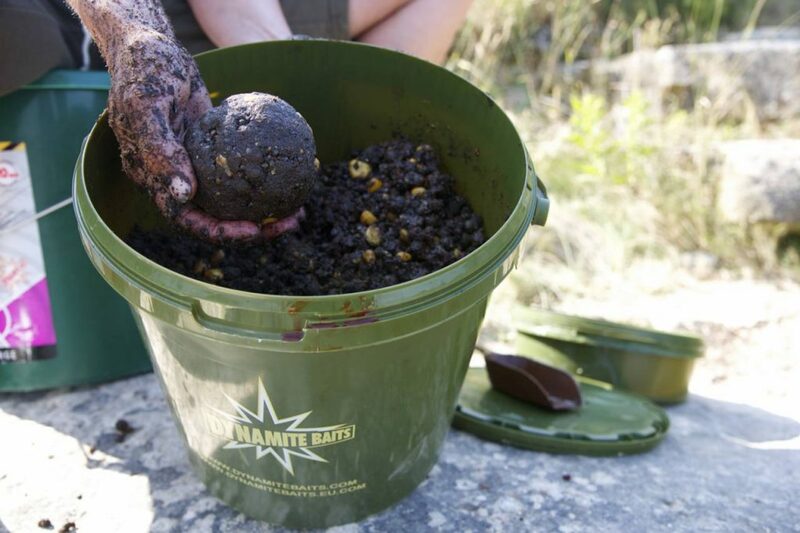 For our baiting strategy we made big heavy balls of groundbait consisting of Swim Stim Black Amino, Coconut groundbait and The Source and Spicy Tuna stick mixes. After each fish we fed 3-5 of these big sticky balls concentrated around the hookbait. We also used Dynamites The Crave, The Source and Banana Nut Crunch mixed with matching liquids, hemp, Chopped Tigernuts and Mixed Particles. Each time we put our rod out straight after catching we spread this mix generously creating a bed of bait. Separately we also put in some handfuls of Chilli Tigernuts. 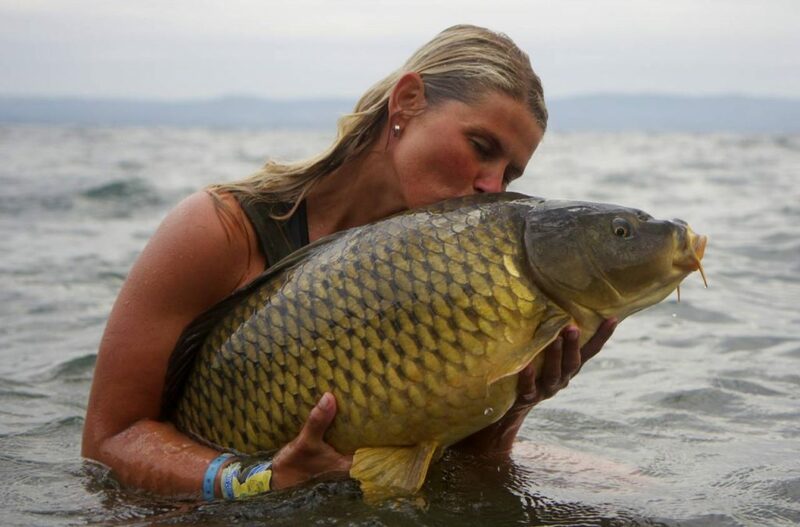 The carp kept on feeding in our swim consistently during the whole week. 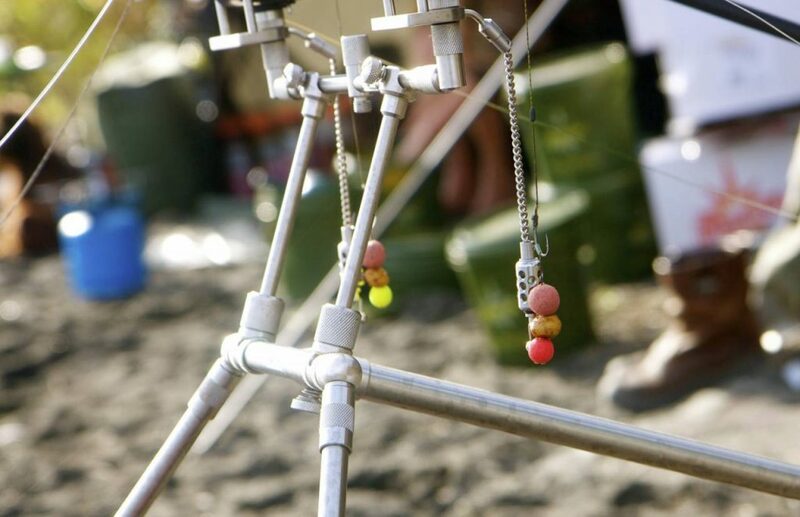 We are convinced that using these three different types of feeding methods each time we put our rods out ensured the fish stayed around. For hookbaits we used a combination of Dynamites new Red-Amo boilies, Monster Tigernuts and Banana Nut Crunch topped with either Pineapple & Banana Fluros or the new washed out Secret Slammer pop-ups. This combination of top baits really gave us the edge during the WCC. Because we were fishing at distance in between the weeds we used floating braid (25lbs) made by Power Pro. As for gear we used Shimano Technium Mgs 12000 XTB reels, Shimano XS1 rods 3,25lb curve, all ACE end tackle, Sufix Invisible Flurocarbon and the Razor point hooks. 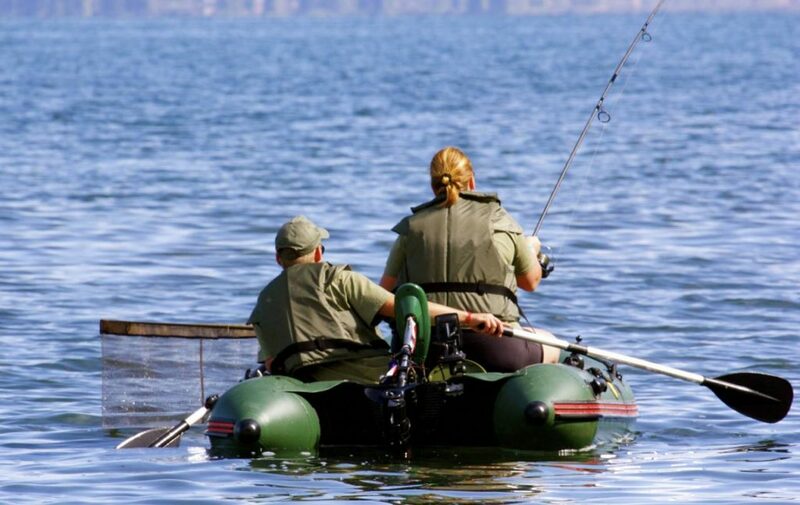 The carp couldn’t get enough of the bait and this resulted in catching 40 carp weighing a total of 366.5 kilo’s and winning the event. We also caught about five more carp but they were under the 5kg limit. We finished 170kg ahead of the 2nd placed team; the legendary anglers Rob Tough and Lee Jackson who were very supportive and congratulated us heartily. They are great men. We were also told that our winning margin is a new WCC all time record and we are very proud on this fact! After the fireworks were set-off at our peg to end the match at Saturday morning – 8am, we cheerfully jumped into the water. All the excitement from that week built to that moment even though we were generally in first place throughout whole the match. We were overjoyed with happiness and words cannot describe our feelings. Winning the WCC feels so amazingly unreal and unbelievable to us. This achievement feels so magical; it still has to sink in. For our family, Kelvin and us it’s been an experience of a lifetime. My dad was even crying when we were honored at home. I’ve never seen him crying like that before. He taught me how to fish during my childhood so this achievement was also very special and emotional for him. We are very grateful to our sponsors Dynamite Baits, Shimano, ACE, Hotspot Design, The Carp Specialist and the great people who work at these companies, our runner Kelvin, the organization of the WCC, the marshals and especially “our” marshals Zac and Lewis for doing such a great job walking up and down that long stretch to our peg 24 – 7! A big thank you to our dear friends and family who decorated our house and street to make our homecoming a special one and to the fellow anglers for their supportive congratulations and the standing ovation they gave us. Thanks also to the media for their great cooperation and professionalism. Thank you all for making a dream come true.